Let's start decorating month off with a new bundle from Wizard101 at Gamestop. 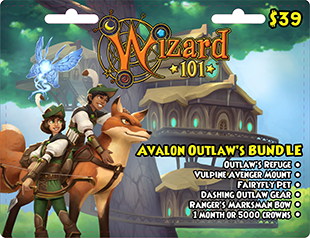 Avalon Outlaw's Bundle comes with the Outlaw's Refuge, Vulpine Avenger Mount, Fairy Fly Pet, Dashing Outlaw Gear with Ranger's Marksman Bow and 5000 crowns for only 39 dollars. The landscape is massive and the house is so grand. You can live like Robin Hood in the trees. Did I say Outlaw? Just look at this gear! Any Wizard can become Robin Hood saving the spiral on your trusted Vulpine. The tree house has so much detail like this room with a spiral staircase! 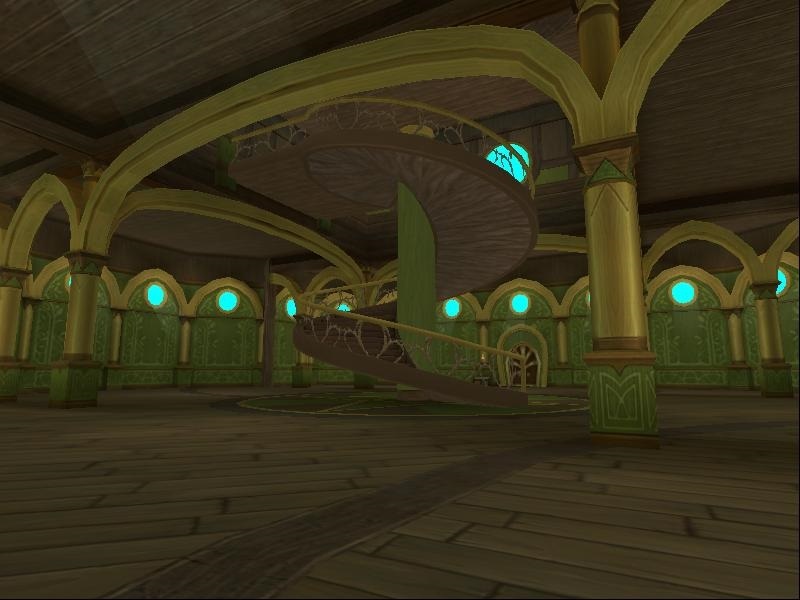 I mean an SPIRAL STAIRCASE! I have always wanted. 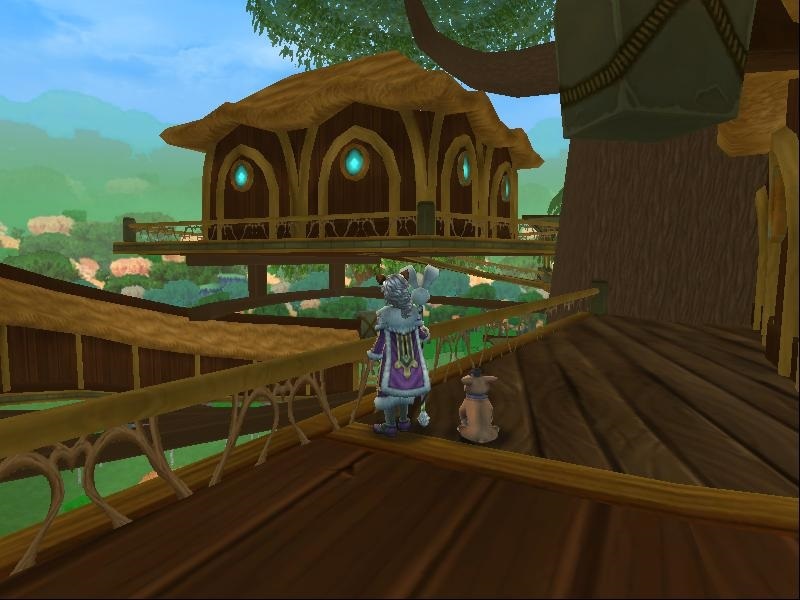 There are even areas where you have balconies that look over the entire house. 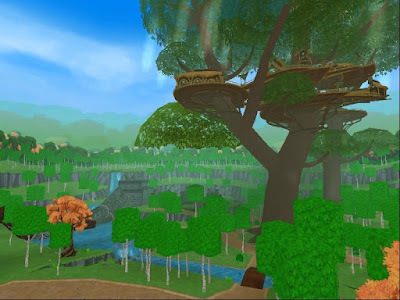 Hidden passages, fishing and there's a catapult? FIRE. 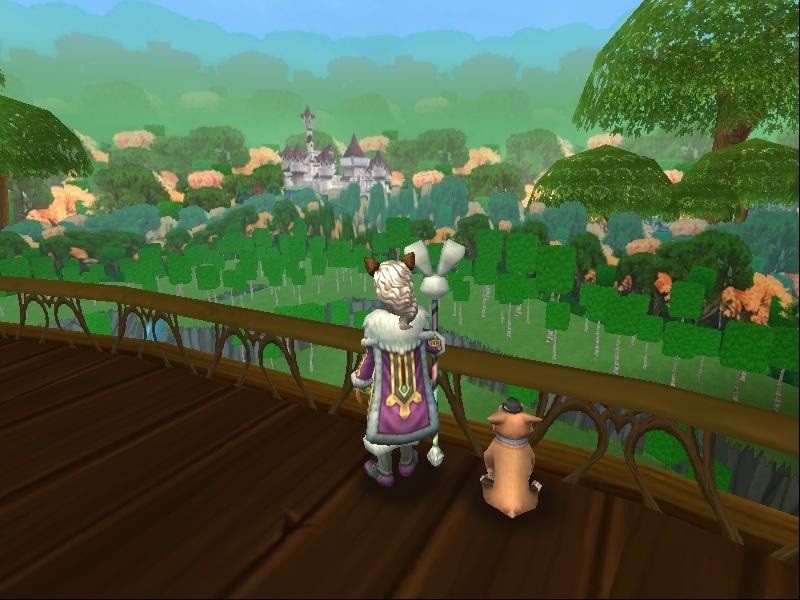 Don't forget to look at the view of Avalon Castle. Don't forget to look for tomorrow's first decorating post. until then, Happy House Decorating. 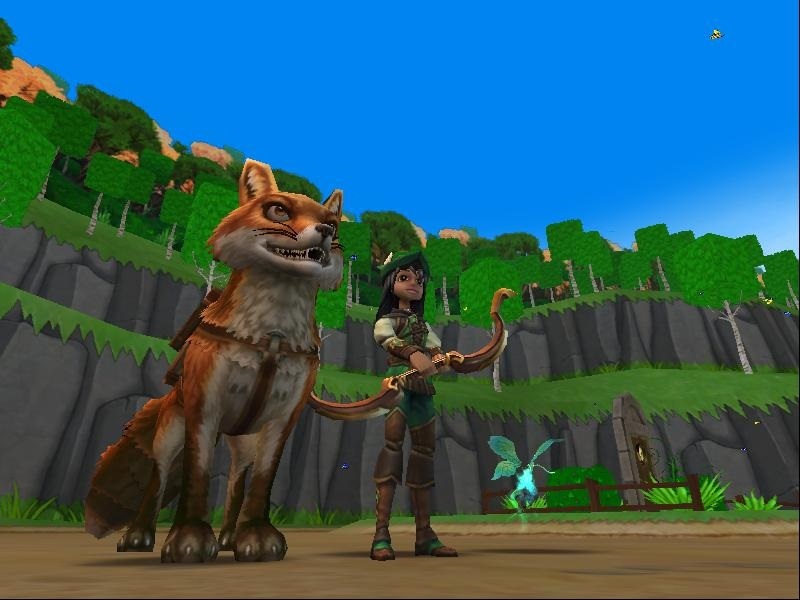 what pets can you get from fishing in the house?